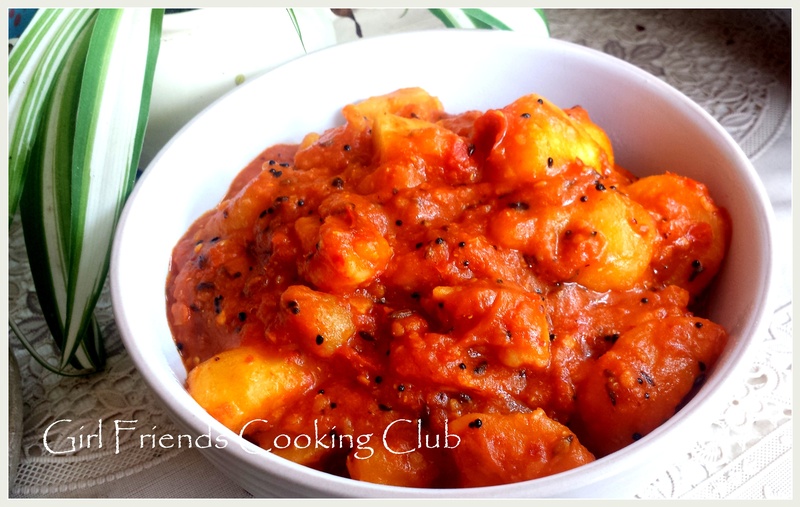 Aloo Dum is a very hot and spicy Nepali Style Potato curry. The origins of this recipe is from the hill station of Darjeeling which is famous for this dish. 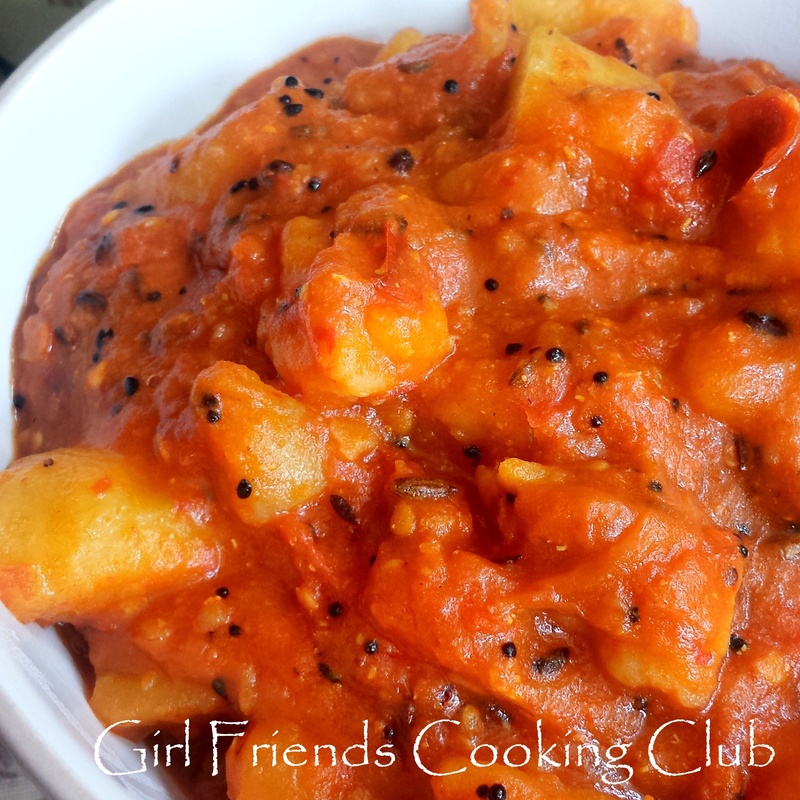 Although it is super hot, this is a “hot” favorite among all my friends and one of the most requested recipes. 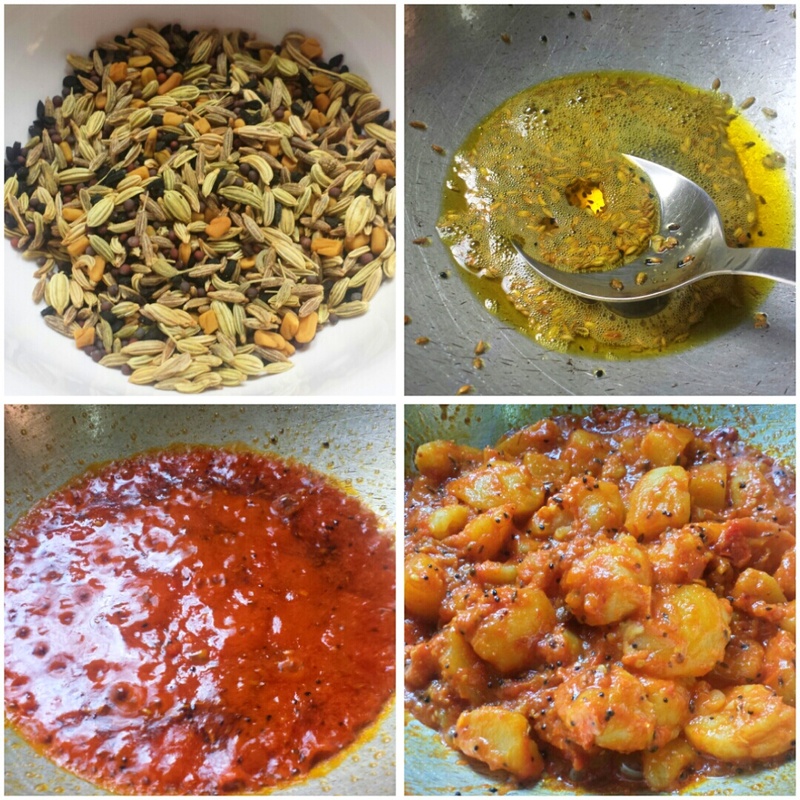 So here it is for you to enjoy, straight from my kitchen Happy Cooking ! Boil the tomatoes and red chillies with a cup of water until the tomatoes are soft and mush. 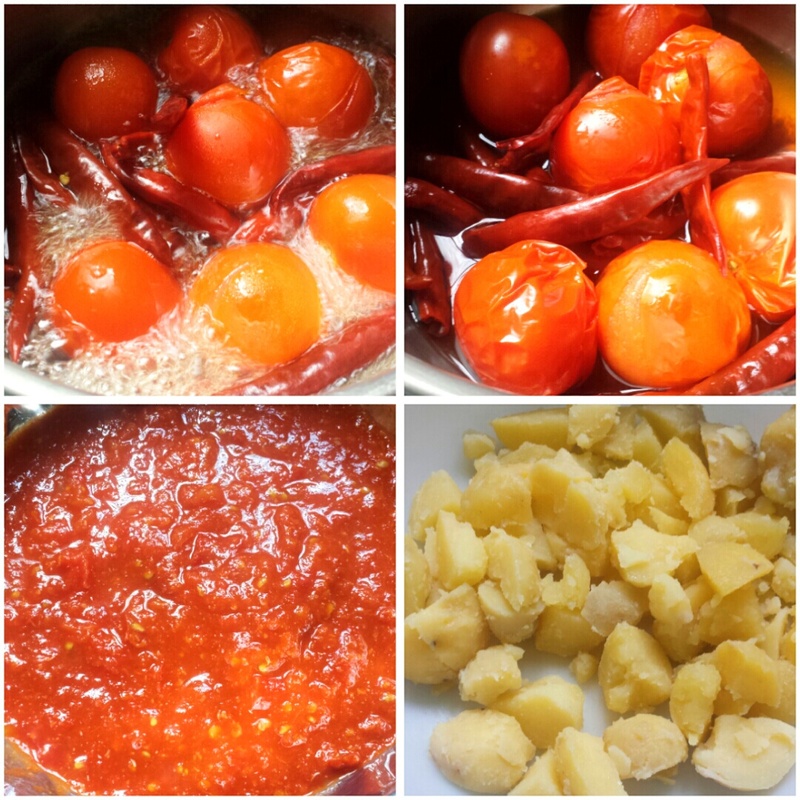 Peel the tomato and make a paste of the boiled tomatoes and red chillies. Serve with Pooris or Rotis . Enjoy ! Mouthwatering goodness of home cooking !